Intuative, easy to use and hassle free mobile apps that require no sign-up; Just download and start scanning = voilà! We’ve enabled one of our clients to embed smart tags inside their products during production. 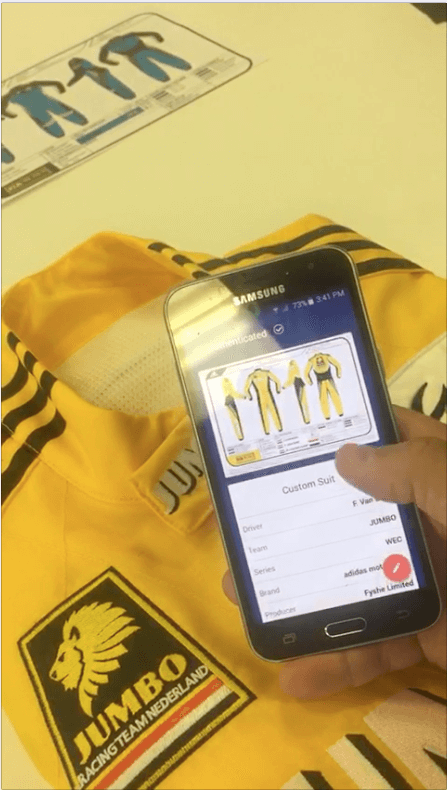 We provide all of their tags pre-registered with the digital profile of a standard in-line product and, when needed for customised products, make it easy to upload and archive unique artwork, images and data to the product's unique file in the online CRM system. 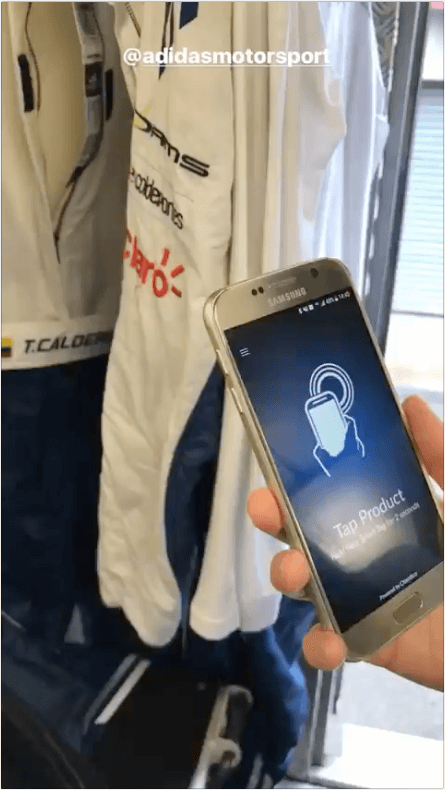 Now, all of their products can be scanned by anyone, anywhere with any NFC enabled smartphone, allowing retailers, wearers and officials to both authenticate the product and validate its homologation compliance. What type of labels or tags can we use with our products? Any label that can be read or scanned by a mobile phone and has a serialised number such as a barcode, QR code, GS1 code, and passive, dynamic or PKI-based NFC or BLE smart tag. How secure are your NFC-based smart tags? 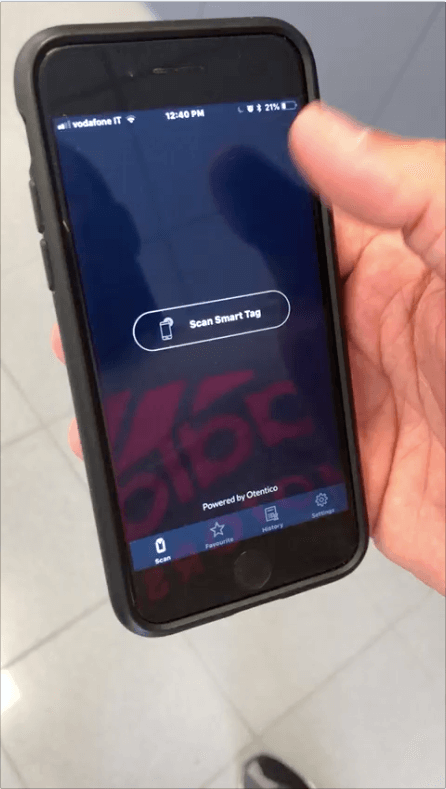 All of our NFC smart tags are based on chips produced by NXP Semiconductors (formerly Philips Semiconductors), the world's leading NFC producer and the supplier of Apple, Amex, Visa, adidas, Nike and other mission-critical NFC-based products, and are sourced from their authorised vendors. For high volume, we can introduce you to the most relevant vendor directly. Does it work with any other products? Yes. 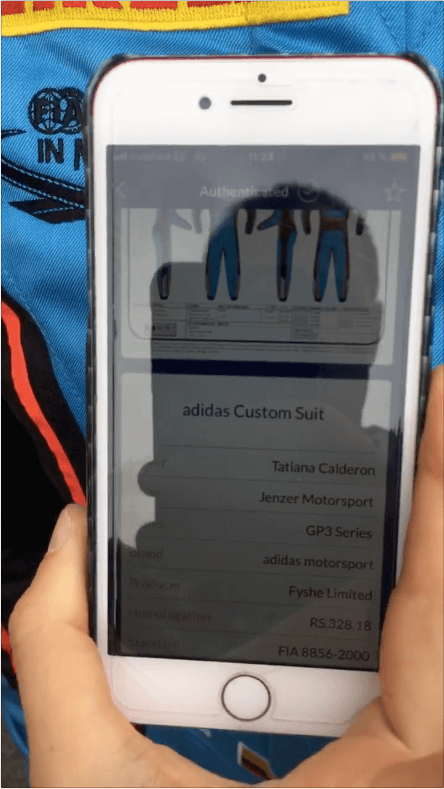 It works with any product incorporating a readable serialised label - for example, luxury fashion, performance gear, wines and alcoholic beverages, cosmetics, medical equipment and medicines, automotive spare parts, art and more. Highly secure. In fact, our top expertise is in cyber security, and we have designed and built Otentico using the highest industry standards, developed and used by the likes of the banking and financial industries and governments. We take data privacy very seriously and comply with GDPR standards. We collect no private data on users of the platform except that of our direct clients, who are covered under a separate client service agreement. It depends on various factors such as the type and quantity of smart tags and digital storage. We also offer consultation and free trials so that you fully appreciate the benefits before you start paying. Drop us a line to discuss your needs and allow us to give you a detailed quote. Contact us to request a demonstration and trial. Once we have determined the most cost-effective type of smart tags and/or labels for you, including the potential to use your existing labels, you can implement the tags/labels and get started relatively quickly. Can we cancel if we change our mind? We offer either monthly or annual contracts that can be cancelled at any time. Plus, you own the data that we transfer to you in full and can download it from our platform yourself at any time. Your data, your control.